Sales across the country can be found here and here. Private sales are usually best, but there are always exceptions to every rule. Moving and Liquidation Sales can be ok, but as morbid as it sounds, true estate sales from the dearly departed are best. The discounts tier as the weekend goes by – Friday Full Price, Saturday 25% off, and Sunday 50% off. If you love it and have to have it, buy it on Friday. It won’t still be there on Sunday and you’ll be depressed for weeks. If you are just killing time and going for fun, go on Sundays. You do get the best deals, and you don’t know what you missed from earlier in the weekend. Oh and the most important part – always carry cash. You are much more likely to get a bargain if you are offering payment in the green stuff. 1. Antique Gilt Table. This table has been my favorite find to date. It’s simple lines give it versatility for almost any interior style, and its petite size make it perfect for our tiny reading nook in the living room. 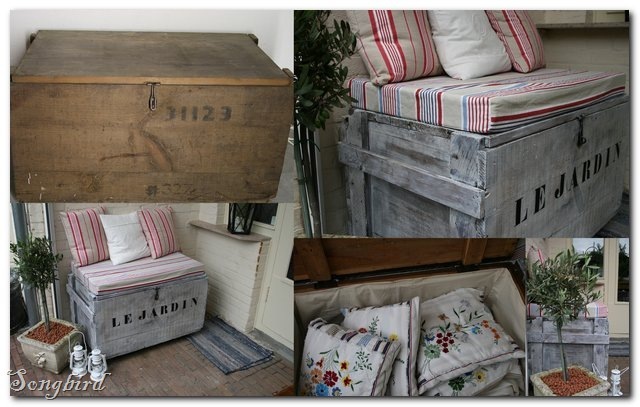 Song Bird is Nesting used the old shipping crate style trunks as a bench and storage. 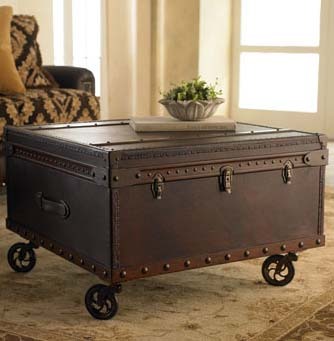 Trunk a touch too short for a coffee table? Add some casters like this little guy shown on Cactus Creek Daily. That’s all for today kids. Have a great week! 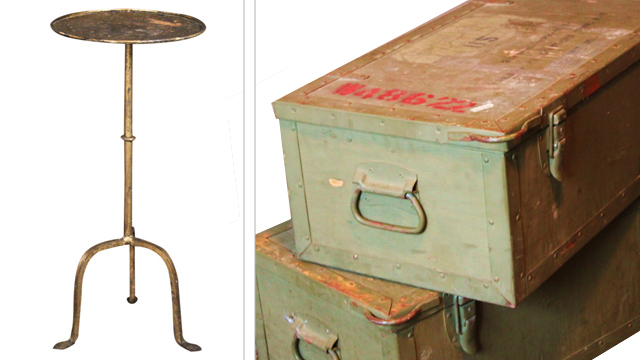 This entry was posted in Sale Finds by MSF. Bookmark the permalink.